On the 23 September 1982, the Miniestadi, brainchild of architect Josep Casals and project manager Ramon Domenech, was inaugurated. In just nine months the stadium, with a capacity of 15,276 split in two tiers and with a covered grandstand, was completed. 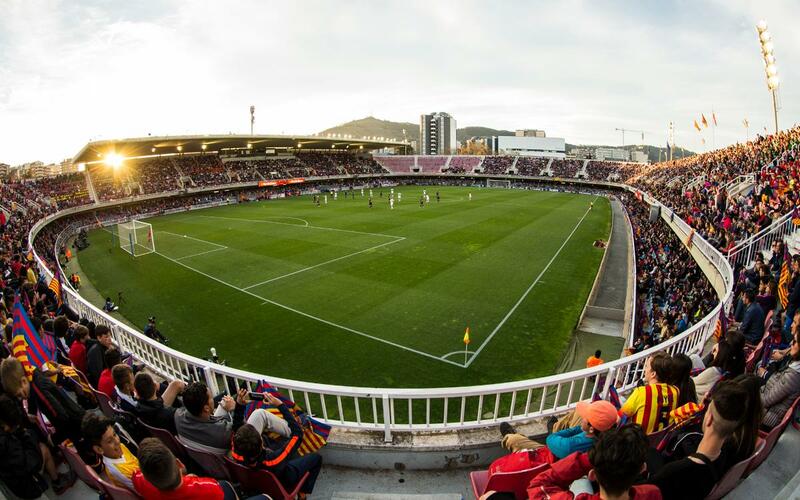 Miniestadi usually hosts Barça B matches and certain games for the Women's team and the Club's youth teams. Amongst the highlights of matches played at the Mini, the Copa del Rey match in the 1983-84 season between a Barca B side, known at the time as Barça Atlètic, and the Real Madrid first team stands out. The 0-0 draw turned out to be an historic result as the 1-0 scoreline in the return leg proved to be enough to put the Barça youngsters through. Four years later, in the 1987-88 season the stadium was fill to capacity once more for an U19 Barça-Real Madrid match. The Mini has also hosted Andorra's international fixtures including games against Ireland and Holland. The Barcelona Dragons were based there in 2002. It was also the customary location for the Clubs Presidential elections. But one of the most emotional evenings at the Miniestadi was the broadcast of the 2006 Champions League Final. Saint-Denis in Paris was not the only stadium in Europe to be enraptured by FC Barcelona's victory. 11,000 people filled every seat to watch Barça on the giant screen as they came from behind to beat Arsenal and claim the trophy for the second time. It was yet another unforgettable evening for FC Barcelona's amazing supporters. Next to the 'Mini' (the nickname bestowed on the new ground) there are two training pitches, called pitch 3 and 4, which have artificial turf. This last pitch, of regulation size, is 100 metres by 70 metres and has seating for 1,000 spectators.